Males (called bulls), on the other hand, like to be left alone, unless in search of a female to breed with. 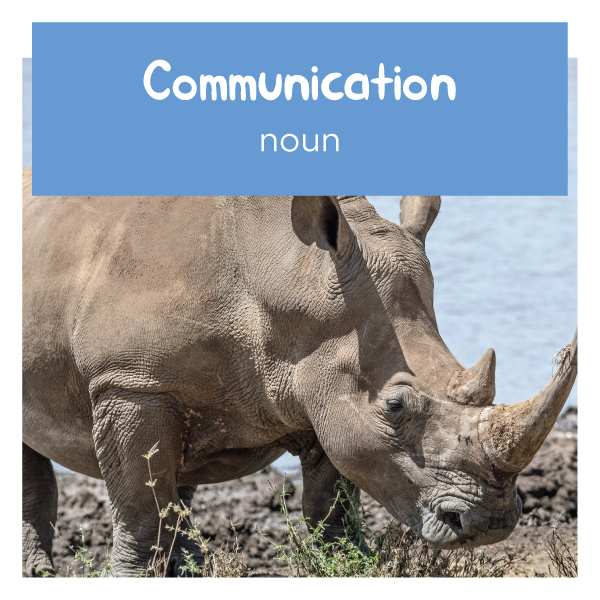 The black rhino are browsers, using their pointed upper lips like a miniature elephant trunk to twist off low-growing branches of trees and shrubs. Rhino bulls are very territorial, and mark out their area of land with, believe it or not, poop! 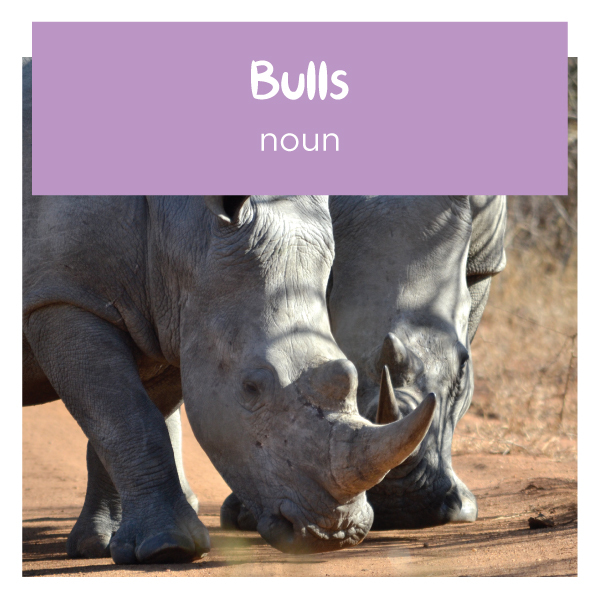 In fact, rhinos often use spongy piles to communicate with each other, since each individuals dung smells unique. 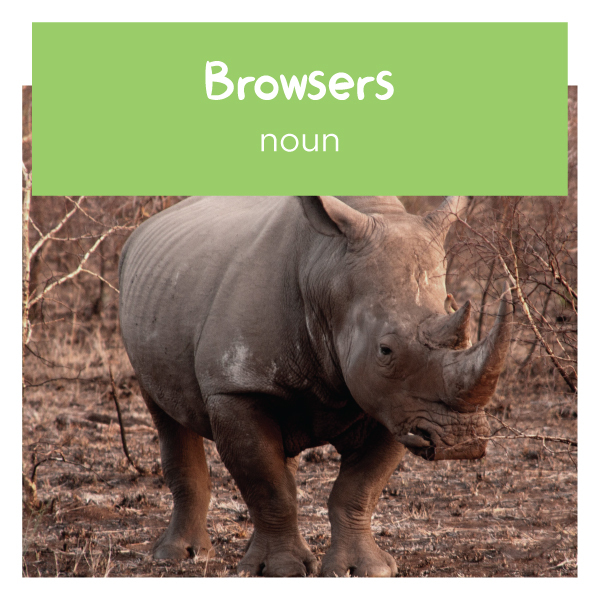 For the most part, rhinoceroses are solitary animals and like to avoid each other. 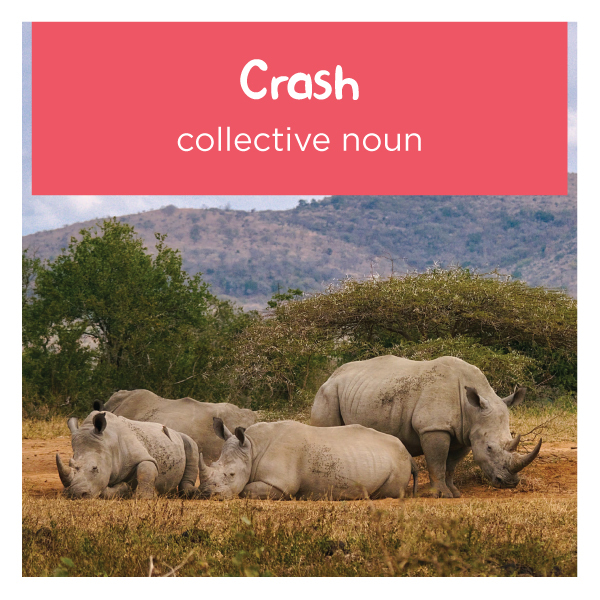 But some species, particularly the white rhino, may live in a group, known as a crash. These crashes are usually made up of a female and her calves, although sometimes adult females (called cows) can be seen together, too. The males mark their territories with large piles of dung called middens.